Manufacturing, transport and utilities will top IoT investment. Spending on Internet of Things (IoT) technology is set to reach new highs in 2019 as more and more companies invest in connected products. 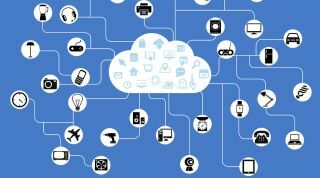 New figures from IDC estimate that $745bn will be spend on IoT systems and services, an increase of 15.4 percent over last year. This includes an estimated $100bn on manufacturing operations, $44.2bn on production asset management, and $44.1 billion on smart homes and $41.7 billion on freight monitoring. The firm adds that it expects IoT spending to maintain a double-digit annual growth rate throughout the 2017-2022 forecast period and surpass the $1 trillion mark in 2022. IDC predicts certain industries to lead the way more in investing in the IoT as more use cases and services are developed and put into action. It identified discrete manufacturing ($119 billion), process manufacturing ($78 billion), transportation ($71 billion), and utilities ($61 billion) as the top industries set to invest in IoT. This includes freight monitoring fleet management solutions in the transport industry, and smart grids for electricity, gas and water in the utilities sector. "Adoption of IoT is happening across industries, in governments, and in consumers' daily lives. We are increasingly observing how data generated by connected devices is helping businesses run more efficiently, gain insight into business processes, and make real-time decisions," said Carrie MacGillivray, vice president, Internet of Things and Mobility at IDC. "The next chapter of IoT is just beginning as we see a shift from digitally enabling the physical to automating and augmenting the human experience with a connected world." IDC notes that the United States and China will be the global leaders for IoT spending in 2019, contributing $194 billion and $182 billion respectively. They will be followed by Japan ($65.4 billion), Germany ($35.5 billion), Korea ($25.7 billion), France ($25.6 billion), and the United Kingdom ($25.5 billion).